Consequently, prayer is a matter of love. Man expresses love through prayer, and if we pray, it is an indication that we love God. If we do not pray this indicates we do not love God, for the measure of our prayer is the measure of our love for God. Praying woman. 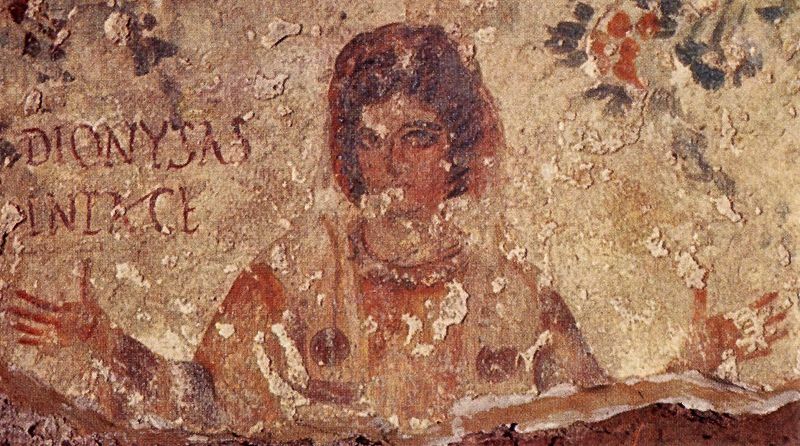 Catacomb of Calixtus, Rome, early 4th century fresco. This was such a trip back in time. Think of all the prayers that have gone up to God since that day when the lady had her portrait painted. thanks for Interrupting the silence. With each of our prayers we take our place among the communion of saints and the many voices and prayers become one voice and one prayer.